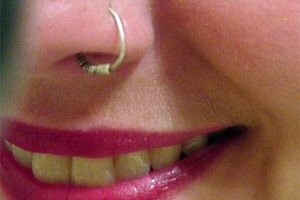 Nose piercings are extremely popular, particularly among women under the age of thirty. 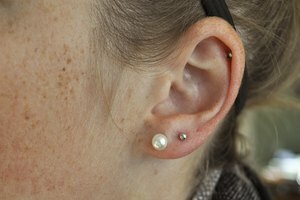 If you have a nose stud, then you likely insert and remove it on a regular basis since many workplaces and schools do not consider them to be appropriate accessories for a professional setting. However, if you are inserting your nose stud incorrectly, you run a serious risk of infection that could turn that discreet sparkle into a bloody, runny, swollen mess. Make sure that you are inserting your nose stud properly to avoid this major health and cosmetic problem. Wash your hands with soap and warm water. Your hands are covered with germs, and even if your nose piercing is fully healed, germs can still gain access to the inside of your body through it. Make sure that you wash your hands immediately prior to inserting the stud. 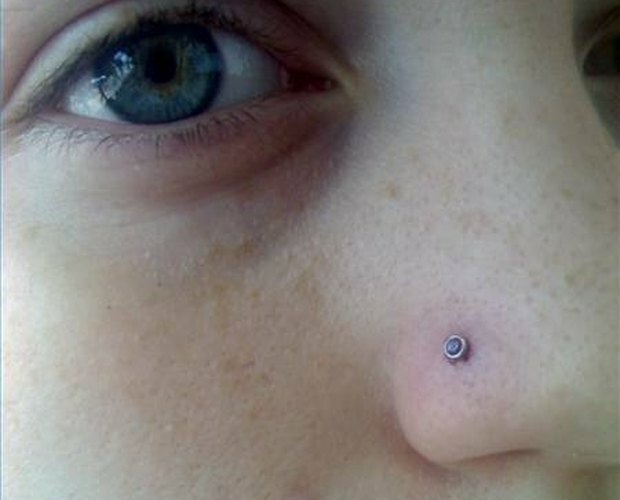 Clean the nose stud with rubbing alcohol. Even if you carry your nose stud in a small bag, you should always clean it right before you insert it. This will lesson your chances of infecting your piercing. Place the end of the ring over the piercing in your nose. Hold it by the ball or sparkly stone, not by the rod of the stud. This will keep the rod sterile until it is in place. Slide the stud into your nose. If it is a tight fit, you may need to rotate it slowly as it slides in. If you have real trouble, then use the thumb on the hand not holding the stud to hold the outer edge of your nose still while you are pushing the stud in. Secure the back of the stud. Most studs come with a flat plastic or metal piece that will prevent the stud from slipping out of the nose. 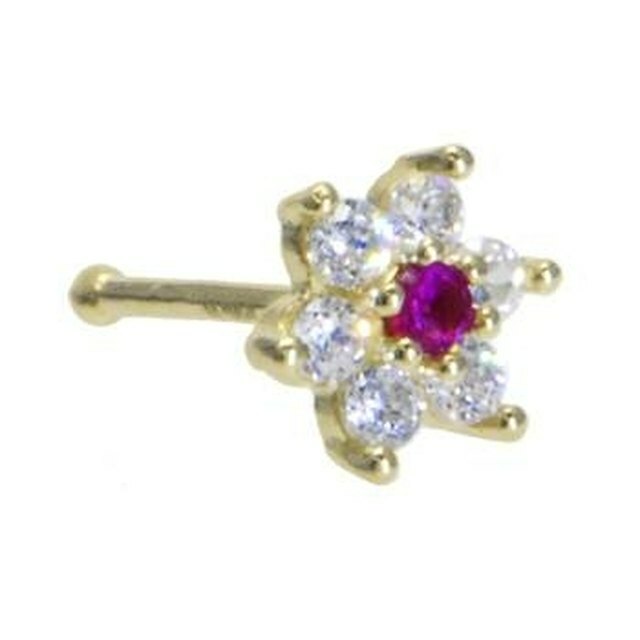 Push this onto the back of your nose stud to hold it in place. When you have finished, you should not be able to feel the back of the stud at all unless you stick your finger into your nose. Do not pinch your nose between the ball and the back of the stud, but rather just push it on securely enough that it will not fall off. If you have trouble with studs, then you may prefer nose screws, which simply twist through the hole and are held in place by a bend in the rod. Always use stainless steel or gold nose jewelry. These are the least likely to cause infection.